A study has suggested that a drop in black smoke levels in the mid-nineties improved overall air quality and helped reduce hospital admissions for asthma. A STUDY HAS found a link between air pollution in Galway and admission rates of children for asthma in the city over a 21 year period. The study, by Loftus et all, published in the latest edition of the Irish Medical Journal, said previous studies have already shown that exposure to pollution has a detrimental effect on lung function in children, which is reversed when they move to an area with cleaner air. In the last 20 years, asthma admission rates increased steadily to a peak in 1995 and then fell dramatically after that. Authors determined that the reason for the rise and fall in the mid-nineties is probably a combination of changes in domestic and vehicular fuel use – particularly in the case of coal. Data from admission rates for children aged 1 to 14 with asthma was compared to average monthly and annual climatic variables and black smoke levels for the city. The research found that there was “evidence of a positive association between asthma admissions and black smoke levels” for the 1-4 year-olds and a positive trend for 5-14 year-olds separately. In the younger children, there was a stronger link between admission rates and black smoke in the city. While the study said the hypothesis is “biologically plausible”, it pointed out that it could also be coincidental. However authors said they said they believe that regulatory changes in the nature of coal and diesel and more stringent emission riles have improved air quality and contributed to the reduced incidence of hospital admissions. 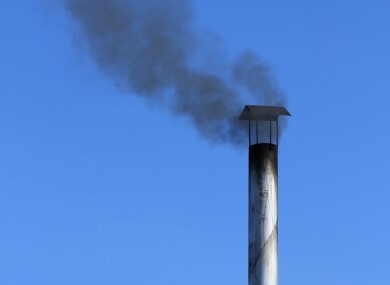 Email “Childhood asthma rates linked to black smoke in Galway”. Feedback on “Childhood asthma rates linked to black smoke in Galway”.